To some, sleep may seem like something plain and simple, even mundane. It looks like all we do is go unconscious for 7 to 9 hours, occasionally travel through a dream or two (that we know of) and finally wake up. Is that all there is? Not quite. After our heads hit the pillow plenty of marvelous things happen that directly affect our next day’s mood and feelings, performance and productivity. Our nighttime rest is a complicated process that is comprised of cycles which, in their turn, are made of stages. Both quality and quantity matter when it comes to rejuvenating and restful slumbers, and a sleep cycle is fully responsible for this. So, what is a sleep cycle? 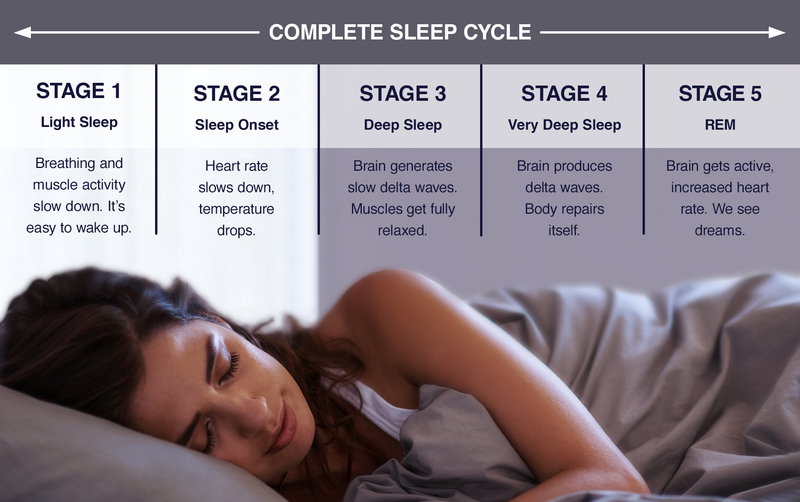 The definition of a sleep cycle goes as follows: it is a progression through the various stages of sleep. During the night we cycle through five of them. The first four are part of a NREM (non-rapid eye movement) sleep. Which is exactly what it sounds like: our eyes don’t typically move while we transition through the 1, 2, 3 and 4 stages. The fifth stage is when all the ‘magic’, aka dreaming, happens. During this stage we indeed experience a burst of rapid eye movement (hence, REM). All five stages progress in an orderly fashion. Once finished, they begin yet again starting with stage 1. On average, one full cycle lasts from 90 to 110 minutes. During the first few cycles the REM periods are relatively short, but as we move forward, so does our REM sleep. As it becomes longer, our deep sleep becomes shorter. To feel well-rested in the morning we need to complete around five cycles to get from 6 to 9 hours of beauty sleep. When we doze off we enter a dreamless stage which continues for about 5 to 10 minutes. We may experience a hypnic jerk during this stage feeling like we’re going to fall down. We’re asleep but can wake up in a split second. Breathing starts to slow down a little and body temperature decreases. It’s a perfect period for a short ‘catnap’. This is a short and a fairly light stage that lasts for about 20 minutes. This is when the body prepares itself to fall down the hole of deep sleep. Heart rate slows down, as well as body temperature drops. If you’re taking a ‘power nap’, make sure to wake up after this stage. Sleep for 10 more minutes and you’ll wake up feeling sluggish and groggy. If you enter this stage, it becomes more difficult for you to wake up. At this period of time we react less to noises, movements and other disturbances. The brain waves slow down and become larger as we fully recharge our batteries, as our breathing becomes slower, and muscles get completely relaxed. This is when the deepest and most restorative sleep happens. Limited muscle ability is paired with rhythmic breathing. Brain begins to generate slow delta waves. During this stage our body repairs and regrows its tissues. At this moment the heart starts beating faster, breathing may become irregular, eyes move in different directions. This is when our brain gets most active and starts producing fantasies. At this stage your brain switches off the muscles to stop you from acting out your dreams. The brain uses our experiences to create the life-like scenarios and tricks us into thinking it’s all real. That’s why we are often under the impression that our dreams have a very long duration. In reality, however, it’s not how it is. 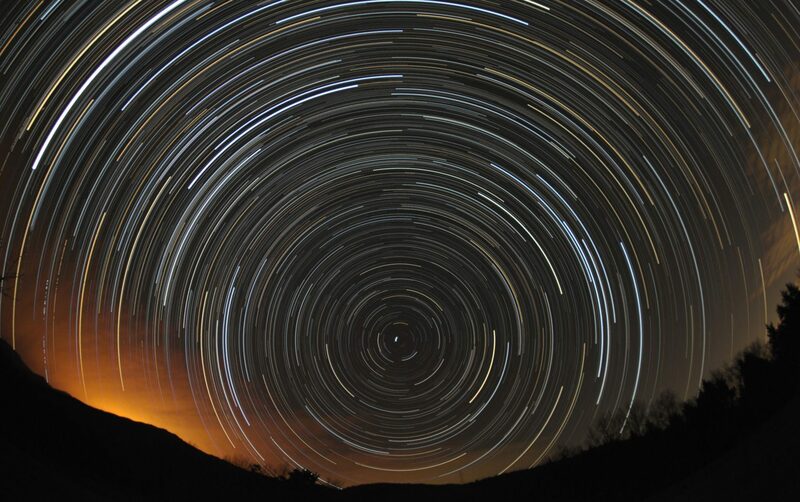 Like in a good TV show, the REM sleep is divided into episodes or cycles. The first dream we have is the shortest (30 seconds to 10 minutes) and the last one can be up to 60 minutes long. Dreams may have the most unrealistic and peculiar settings partly because the part of our brain responsible for logic is least active at that time. The REM stage might be the most interesting one, but all the other four are equally worthy of our attention. Yes, poor sleep quality can result from anything from a glass of wine you drank before bed to not so healthy lifestyle choices. But let’s say you’ve fixed all of those – you eat healthy, exercise, stay away from stress and yet somehow manage to awake exhausted and grumpy. What’s that about? Well, turns out, it’s all about timing. It’s better to wake up during some stages over others. For example, to feel refreshed in the morning it’s better to wake up during the light sleep stage. And, on the contrary, if you wake up during the deepest stage, you’ll feel like you’ve been run over by a freight train. No matter how long you’ve slept you’ll still feel very tired and groggy. Luckily, waking up during lighter stages is a skill you can master. All you need to do is understand how many hours of uninterrupted slumbers make you feel fresh and reinvigorated in the morning. Weekends are perfect for that. So, here’s your math: an average duration of one complete sleep cycle lasts around 90 minutes and it’s good to get at least 5 cycles of undisturbed shuteye. In order to figure out your magic number set an alarm for 7 hours of sleep. If it’s not it and you still feel sluggish and in no mood, move on to 8 hours and so on, until you open your eyes feeling fully rested. Sleep cycle, versatile and amusing as it is, plays a crucial role in a great number of processes, including healing and repair of our tissues, heart and blood vessels. That’s why getting enough nighttime rest has the power to protect the quality of your life. Knowing your sleep stages gives you a better understanding of when it’s best to wake up or take a catnap to benefit your overall health and wellbeing.